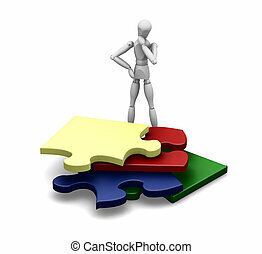 Man with puzzle pieces. 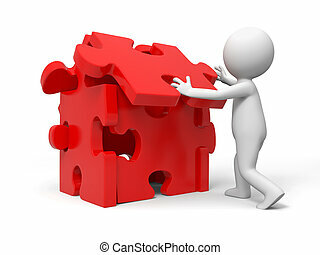 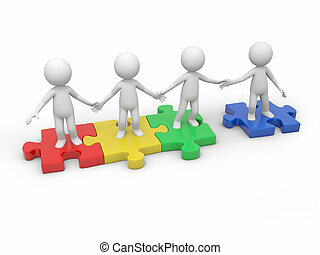 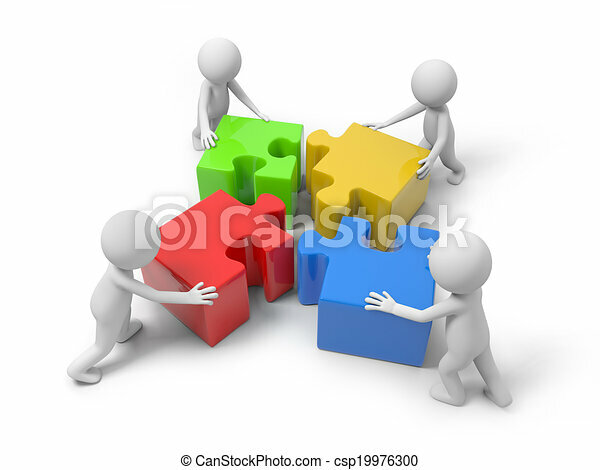 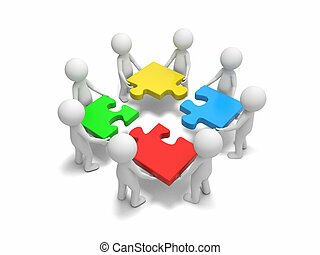 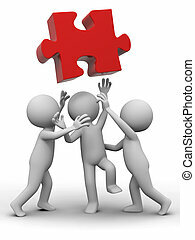 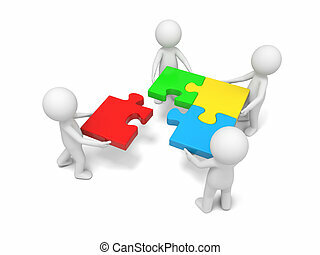 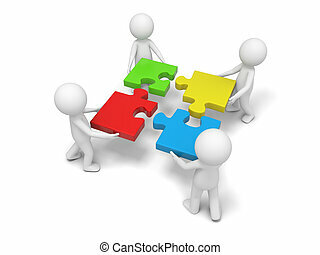 Four 3d people putting the 4 puzzle pieces together. 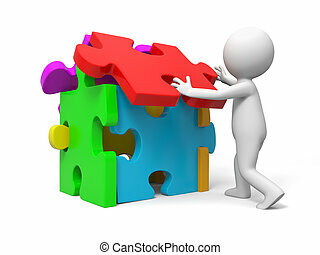 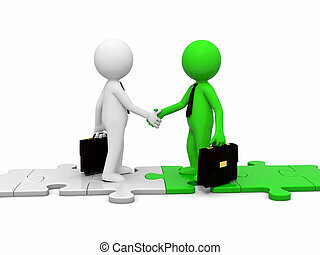 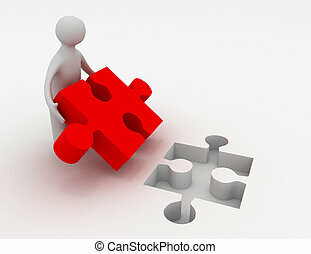 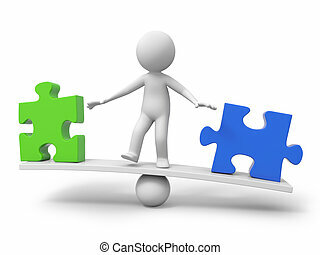 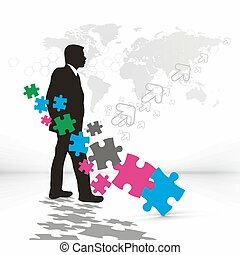 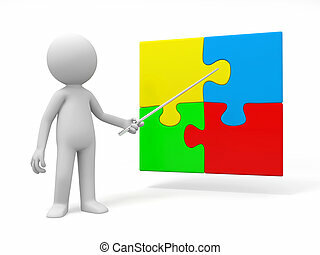 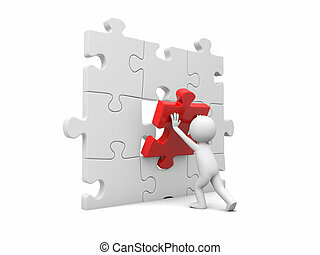 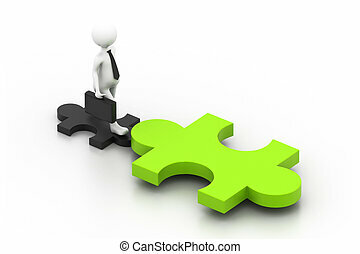 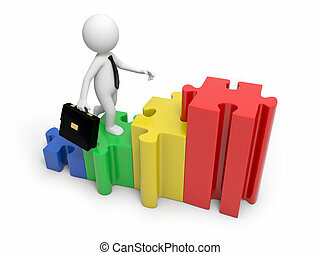 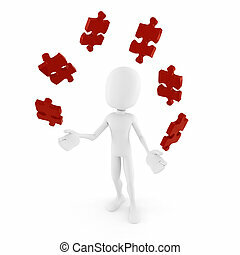 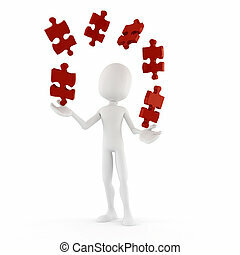 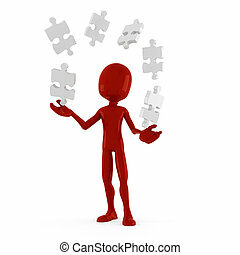 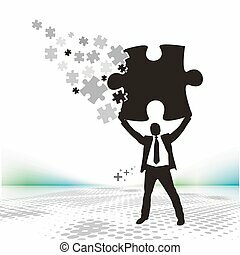 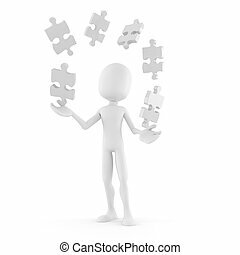 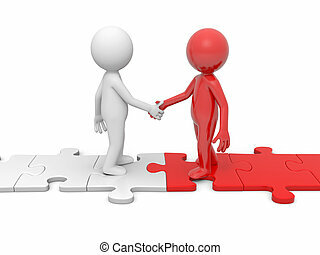 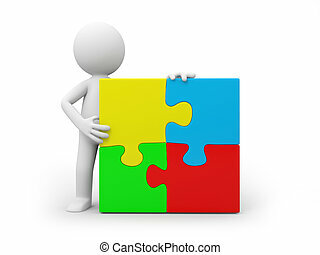 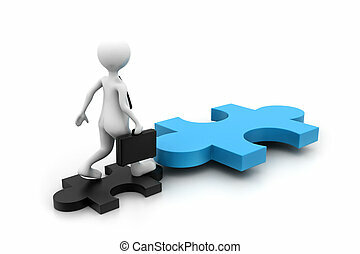 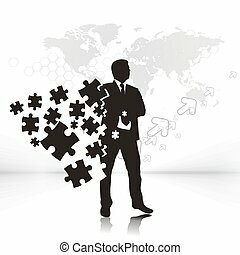 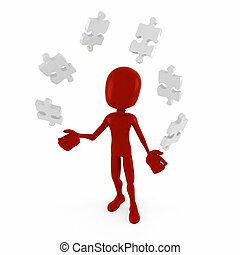 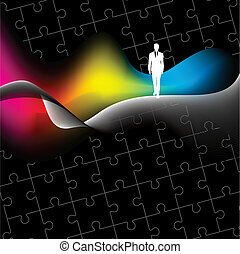 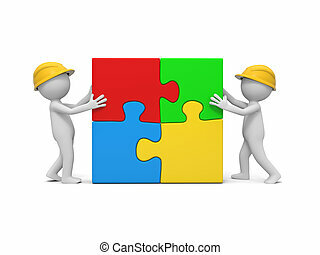 abstract vector illustration of business man with puzzle pieces.